This year marks the 70th anniversary of the end of hostilities in World War II's "Pacific Theater," as the battle against the Japanese Empire's expansion was known. It is also the 70th anniversary of the re-taking from the Japanese of the island of Corregidor in Manila Bay, with General Douglas MacArthur making good on his famous promise, "I shall return." There is no more moving monument to the heroism of "The Greatest Generation" than the quiet, stark ruins of this island fortress, where hopelessly outnumbered American and Filipino defenders held off the might of the Imperial Japanese Army in the early days of the war. Corregidor is a tadpole-shaped rock formation about four miles long and a half-mile wide. 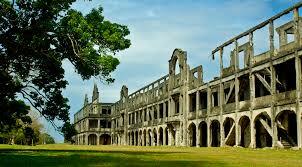 This fortified island for centuries guarded the entrance to Manila Bay, just opposite the Bataan Peninsula. Shortly after the surprise attack on Pearl Harbor, Japanese forces set their sights on the Philippines, then a U.S. commonwealth moving towards its own independence. General MacArthur, commander of American forces in the Philippines, concentrated U.S. and Filipino forces in Bataan, and convinced Philippine President Manuel Quezon to move his government to Corregidor, which underwent its first bombardment on December 28, 1941. The American and Filipino defenders kept fighting against overwhelming odds for more than four months, frustrating the Japanese commanders who had expected a speedy conquest. On March 11, 1942, when it was apparent the fortress was doomed, President Franklin Roosevelt ordered MacArthur to leave Corregidor and fly to Australia. After his arrival in Australia, MacArthur uttered his prophetic promise to return to the Philippines. With the fall of Bataan on April 9, 1942, Corregidor's defenders knew they were next, but their 23 gun batteries continued to pound Japanese positions on Bataan and kept then at bay for almost another month. On May 6, the Japanese finally overwhelmed the island and made prisoners of the garrison, many of whom were sent to Japan as slave labor. Three years later, American and Filipino forces retook the island in a daring attack by parachute. Today, visitors reach Corregidor on a comfortable excursion boat from Manila, finding an island that is itself entirely a monument. While the Philippine government has cut back the rain forest and paved roads for tourist trams, the bombed-out buildings and bunkers have ben left as they were after the battle, a silent tribute to the gallantry of the defenders. 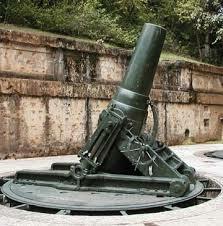 Our Filipino tram guide had an encyclopedic knowledge of World War II, and the battle of Corregidor in particular. Among the sights for visitors are: the Topside Barracks and Parade Ground at the island's highest point; Battery Way, where four huge morters could shoot a round a minute in any direction; Malinta Tunnel, famous as the opening scene in the movie "MacArthur"; and the Pacific War Memorial, built by the U.S. government in tribute to the American and Filipino soldiers who fought and died side-by-side in World War II. A sound and light show on the battle is presented in the tunnel, which served as a hospital and arsenal and was MacArthur's headquarters during the siege. For those who want to spend more time on the island, there is a small, comfortable hotel near the excursion boat docking area. The city of Manila has come a long way since it was practically leveled during its re-taking toward the end of the war. Today, it's one of the most exciting cities in Asia, with huge, glittering shopping malls that receive throngs of visitors from Korea, China, and yes, Japan. Skyscraper condos, which host many ex-pats, are everywhere in the business districts of Global City, Makati and Ortigas Center, and luxurious hotels like the Shangri-La Edsa and Makati Shangri-La are a mecca for visitors from around the globe. But there are historic monuments to its often painful past throughout Manila as well. These include Intramuros, the city's original Spanish fortifications, which became the last stand for the Japanese occupation, and Fort Bonifacio, where the American Cemetery is located. With over 17,000 graves, it is the largest cemetery for U.S. personnel killed in World War II. The Philippines is now an increasingly popular winter escape for visitors from throughout Asia, Australia, Euope and America. The country has some of the world's best beaches and diving sites, along with natural wonders like the Banaue Rice Terraces and the Chocolate Hills of Bohol. 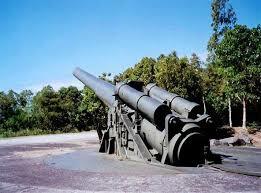 But lest we forget its tragic history, monuments like Corregidor should be on the itinerary along with the fun.